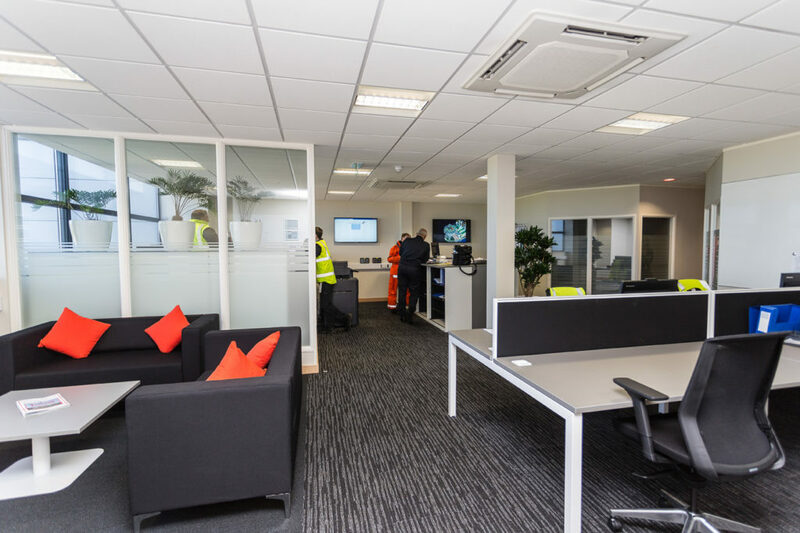 CHC Helicopter is a global helicopter transportation service which specialises in providing transportation to and from offshore oil and gas platforms, flying search-and-rescue and emergency medical missions. Based in Canada, with a number of international offices across the world, they also have a 2700 sq.ft unit at the Klyne Business Aviation Centre in Norwich. 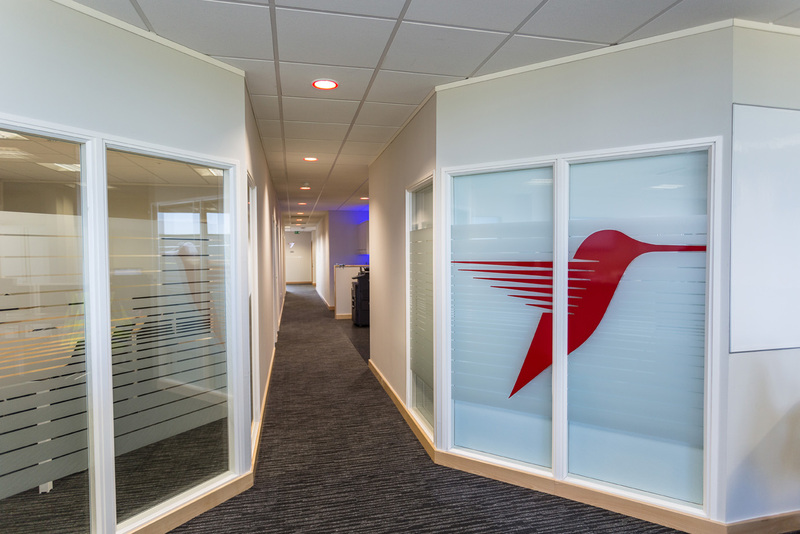 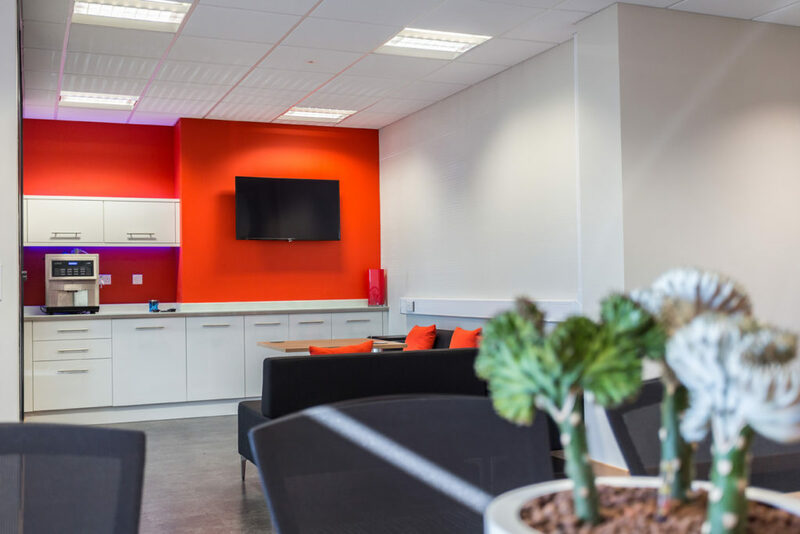 CHC Helicopter contacted Bluespace for an office refurbishment following a referral from Oranje Nassau Energie and Saxon Air, who are also based at the aviation centre, and we were thrilled to take on this unique project. 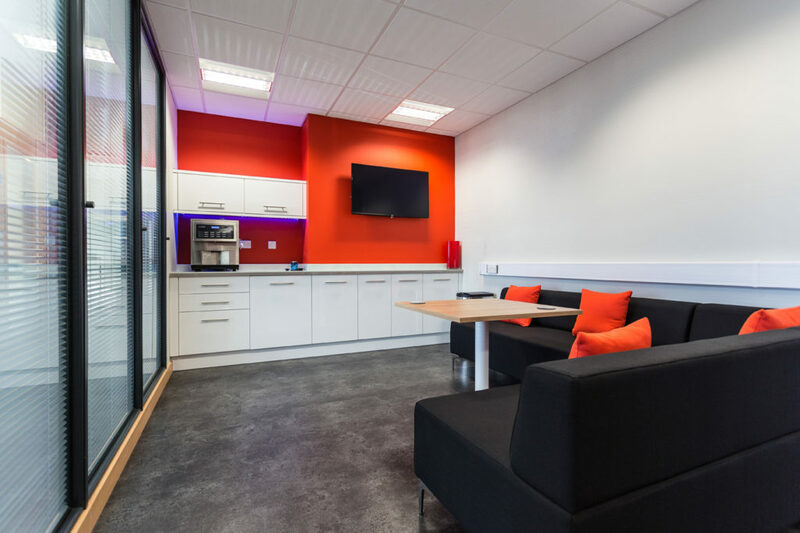 We designed a number of one of a kind areas within the unit for use by specific teams including, a bespoke standing workstation with space for map displays and layout area; a raised platform which was built so that the team working in that area can see out to the hangers and runway; and a locker room with changing facilities for the pilots with a large drying suit rack. 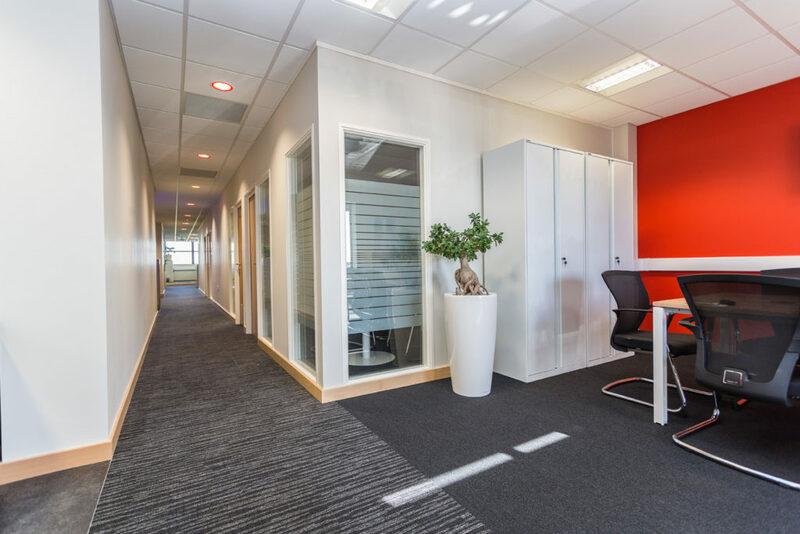 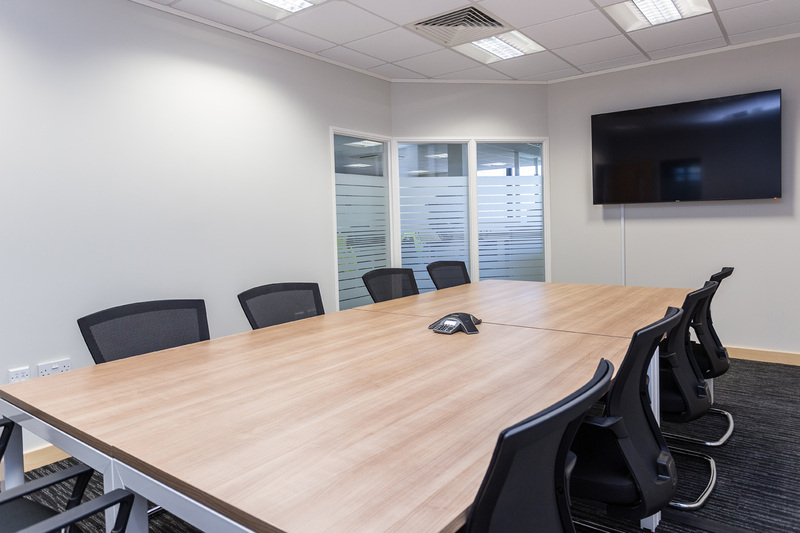 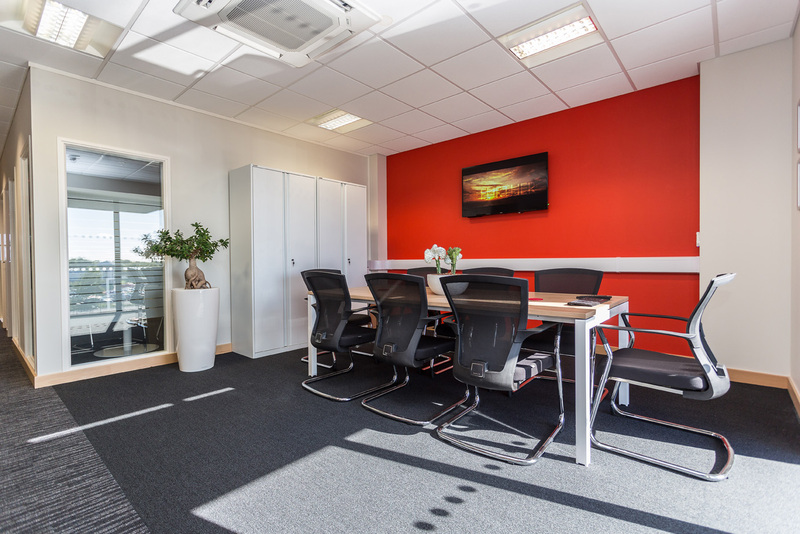 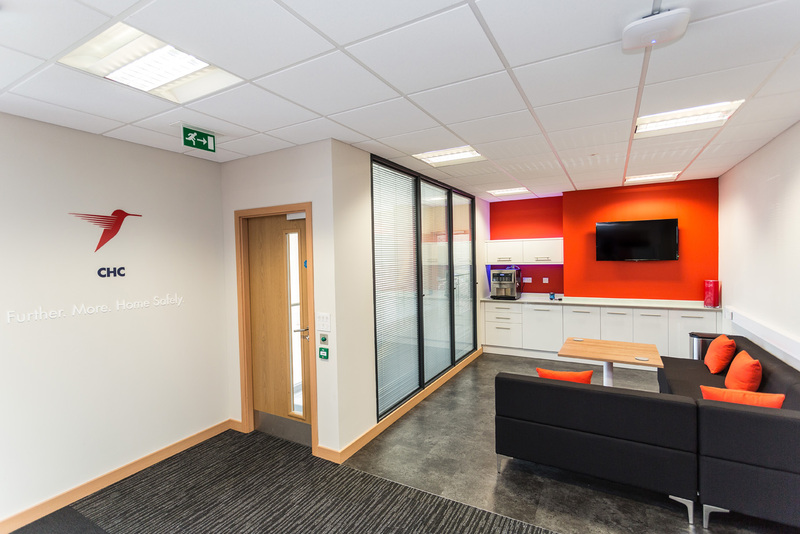 The CHC team were very excited about the new office as it offered them more space and an area which meets all their needs on a day to day basis to enable the team to work even more efficiently.